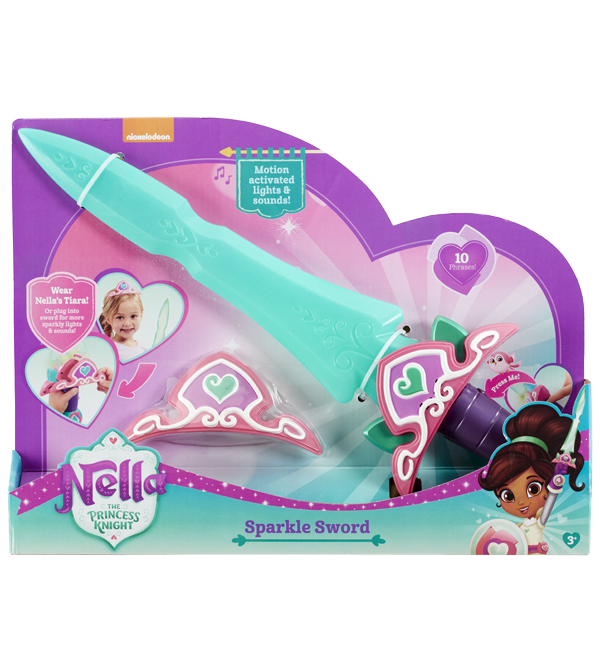 Sparkle Sword just like Nella's! It’s time to be a Princess Knight! Nella’s sword is one of her favourite tools, which she uses to guide the way on lots of her Knightly quests. 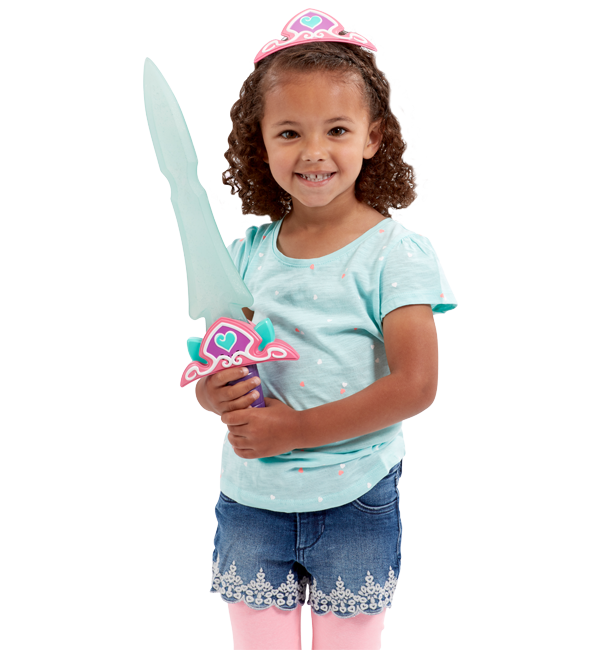 This Sparkle Sword lights up and includes phrases from the show, and when the included wearable hair slide tiara is plugged into the hilt, more phrases are magically unlocked!